To transform the inner fears and doubts that keep people trapped in anxiety, so they can live the life they have always dreamed about, feeling limitless, confident and joyful. At the core of our being is the most sublime part of ourselves, our soul who opens our mind to our limitless self which is filled with love, compassion and caring which we can feel in every moment setting us free us from all unnatural fears to experience a life filled with joy and abundance in all things. I work with your feelings and emotions creating a bridge between your mind, your body and your feelings in a way so changes are easily assimilated into your daily life. You will become aware of a deepening connection with yourself as all the unhappy parts come together creating a sense of wholeness, joy and contentment. I realised when I was in my early teens, actually when I reached 12 that I had real relationship issues brought about by a constant deep sense of loneliness and rejection. I found myself acting like a limpet attaching to anyone who showed me some interest. I grew up in what I felt at the time was a really close family, well that was up to when I reached 12 and then it felt all downhill after that. In my twenties after going through severe anxiety and panic I also realised just how anxious I used to be about making friends and longing for people like me. It drove me nuts and and was very exhausting. Always giving my energy away and leaving me unfulilled and emptier than before. I was on constant lookout for approval. Consequently inter – personal relationships in which I maintained any semblance of identity or self esteem without judgement or blame has been the biggest growth area in my life. I now know this is something my soul wanted to learn and what a ride it has been. Relationships always dogged me and healthy relationships especially avoided me like the plague, or so I thought. The only time I felt good being me was in sport where I excelled and felt confident. Elsewhere though in my life …nope…not even a hint. I had spent all my early life hanging out with my brothers as we moved around a lot. The oldest two formed serious relationships when I was 11 going on 12 and I found myself forming a very close and beautiful relationships with my younger brother Nick and we became very close over the years. At the same time though, I suddenly felt abandoned and extremely lonely. This plagued me for 7 years. I did a lot of soul searching, asking, reading, researching Jung, Buddishm, life after death to find answers. Wasn’t sure what I was looking for exactly until at 19. I’m in a pub with friends in deep discussion about life and relationships when I suddenly shouted at the top of my voice. “I got it’ “I understand”. the pub full of people just stared at me thinking I was bonkers or drunk maybe. In that moment everything made sense and I felt so safe and so joyful, whole and complete. Two weeks later , in 1972 Nick got killed in a car accident. I fell apart. I felt as if my soul had been ripped out of me, like I had lost half of myself. Six months hiding at home, not going out, meditating, praying, reading to find answers to his death did not take away the intense pain. And what I had found a few weeks prior to his death now seemed lost to me. And I was starting all over again but this time from a place of feeling totally in pieces. I studied mediumship, spiritual healing and psychometry. I sat in a spiritual development circle for many years. I contemplated suicide. I went in to panic wondering how I could cope with going a lifetime without seeing Nick or holding him in my arms. The loss of a loved one has got to be the most excruciatingly painful and despairing experience. But in all of this I did slowly come back to find myself and I discovered the deep inner strength who I called god, was in fact my soul; the centre of my complete being. So I set about learning the road map between the soul, the mind and the body. 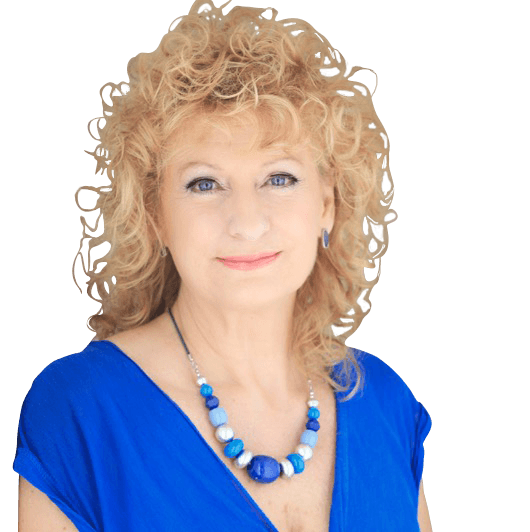 Over many years developing my healing gifts, more study and training, I experienced incredible spiritual insights and had amazing spiritual experiences that were mind blowing and which confirmed what I had always trusted and believed in. This beautiful loving being resided in each one of us could heal our pain and reconnect us to our core identity, our true nature of a divine being. But not content with 3 dark periods of my life, yes there was another. I married, unknowingly, an alcoholic and left him after 4 years when I was 8 months pregnant. I had contemplated suicide when Nick died, and during the emotional turmoil of my first marriage and again in 1998 when I suffered a nervous breakdown. I had got caught up in a very negative corporate environment which for me was utterly destructive affecting me so badly I had a breakdown. This time I experienced my life falling apart in yet another way. I could see that I was dismantling my self, in order to find my true self and not allow negativity to destroy me. There were times when in deep despair I could feel my cells dying and telling me to stop this slow death and find my way out. As always I meditated as best I could between dark foreboding thoughts and almost manic highs and I did a hell of a lot of healing with my soul. Eventually I found my way home once again. The breakdown was the best thing to happen to me because I realised I didn’t need to experience anymore emotional pain of this nature. I had learnt what I needed to learn, at that time ( there is always learning) about the inter-connection of the emotions and the soul and how emotional pain creates a disconnection from our soul our self. And depending on the severity, the disconnect can be small like scattered fragments (like a broken egg) ‘shell shock’ or extreme where it feels as if we have departed from our body, and we are ‘hanging on’ by a thread; walking alone in the dark, lost forever. I obviously wanted to learn what these extremes felt like in order to better help others. Panic attacks were nightly occurrences that had me fighting for my life. But I got there and found my way out of the maze. Only to realise that I had been putting off starting my healing business for too long and regardless of what happened that is what I was intent on doing. I didn’t care about the security of a 6 figure salary. Up to this point all the healing work I had done, I did for love. I knew I had to heal others , not in parallel to my career as I had been doing but instead of it. I learnt to see myself during the panic attacks from another place and the road map which was quickly filling up with new information. I couldn’t put it off any longer and I came up with my Soul Integration system and I started my healing business helping people with relationship issues and with depression and anxiety. In reflection my initial learning was a truly emotional one (anxiety), rejection, abandonment and loss of a loved one and feeling utterly alone and lost (depression and suicidal thoughts). This was followed by relationships; my first marriage and then experiencing life as a single parent. Then meeting my soul mate a few years later; learning a whole new level of interpersonal connection whilst maintaining my personal independence and unique identity. Then years later another round of depression from working in a very negative environment, which threw up almost a daily round of mini shocks to full on tremors which took me into a very steep downward spiral. I was at the bottom of a large black hole with no way out andf the thoughof suicide surfaced again. But this time that very thought was my saviour. It gave me the motivation to climb out and not just get back but to climbed higher than I have ever climbed before. My efforts culminating a few years later meeting my beautiful soul. I felt like I had come home. The sensation of bliss filling my whole body took me on yet another journey which gifted me a huge insights into the connection between our soul, our emotions, thoughts and our physical body. On of which was that we are continually building road maps within ourselves, so no matter how far we stray from our true self, no matter hopw dark it gets, we always have a map we can follow to get back. I was shown we will often take ourselves down to depths of despair, or emptiness in order to find our true self. We don’t need to though, by the way, it’s just something we choose to do to in order we get to pull up all the parts of ourself that have become lost and disconnected, so we might reconnect and realign with soul, our true self and feel at one. This also taught me that the most important thing to remain focussed on without distraction is on ourself. The relationship we have with ourself is the most precious of all, and when that’s healthy, our mind is healthy, our life is healthy, and our precious relationships are healthy and fulfilling.